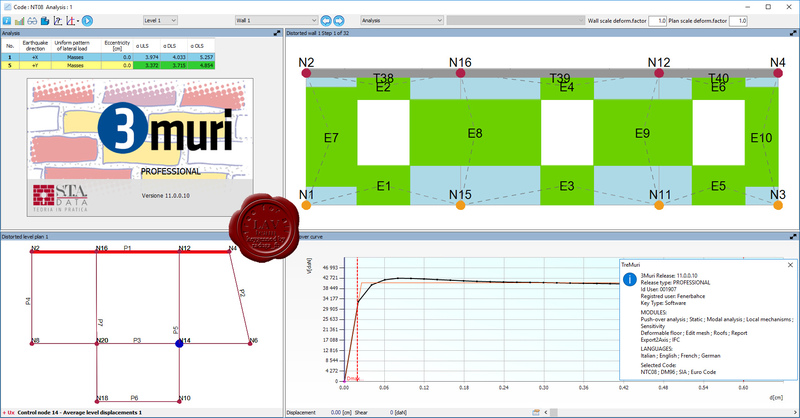 3Muri is a software for analysis of structures built in masonry and mixed materials through a non-linear (pushover) and static analysis. The strengths of 3Muri is its innovative computation method (FME) that is able to give more information on the structure’s real behaviour to seismic actions, aside an extreme simplicity of use. 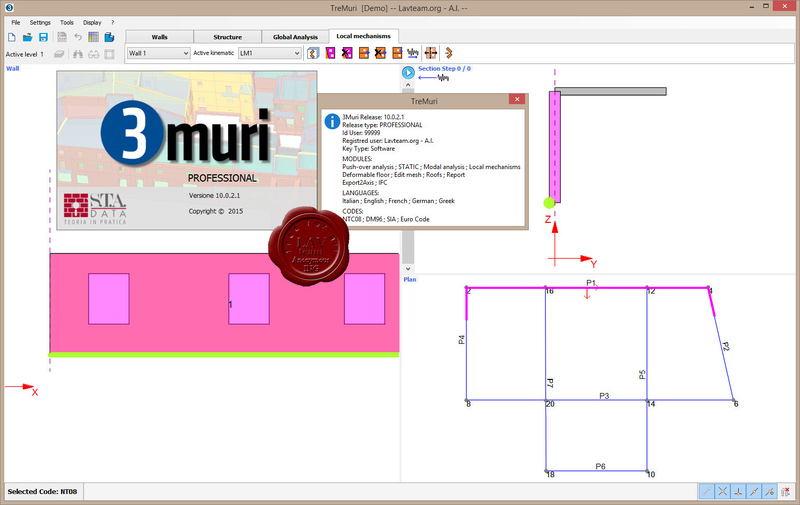 3Muri offers a drawing area for insertion of the structure with intuitive controls, an engine for the creation of computation models and their solutions, and a post-processor for immediate presentation of the results and creation of the computation report. 3Muri was created by a joint project of S.T.A. DATA and the research group headed by Professor Sergio Lagomarsino, from the Construction Technique department of Genova University. Along with other specialists (eng. Andrea Penna and eng. Alessandro Galasco from Pavia’s Eucentre, and eng. Serena Cattari, Genova University) they finalized the theoretical aspects of 3Muri through laboratory’s experiments and analysis on real structures. That continuous collaboration guarantee an always updated software, completely operative and reliable for the most professional requirement.